Six questions to help you focus on your first ministry. I’ve been married to my high-school sweetheart, Cindy, for almost 11 years, and we have two beautiful daughters, Natalie and Norah. I seriously can’t believe Jesus allows me to wake up every day beside the woman of my dreams. The fact that He’s given us two incredible gifts to raise blows my mind daily! Yet, I’ve experienced seasons where I put my family first and made a great effort to love them and let them know I see them. And I’ve seen times when I’ve put my role as a worship leader and staff member above them — many of those times, if I’m honest, to please others. Am I loving others around me before I am a worship leader? In eight years on staff at NewSpring, I’ve seen it all: The ups and downs of ministry, the huge mountaintops, and the low valleys, where I’ve wanted to walk away. 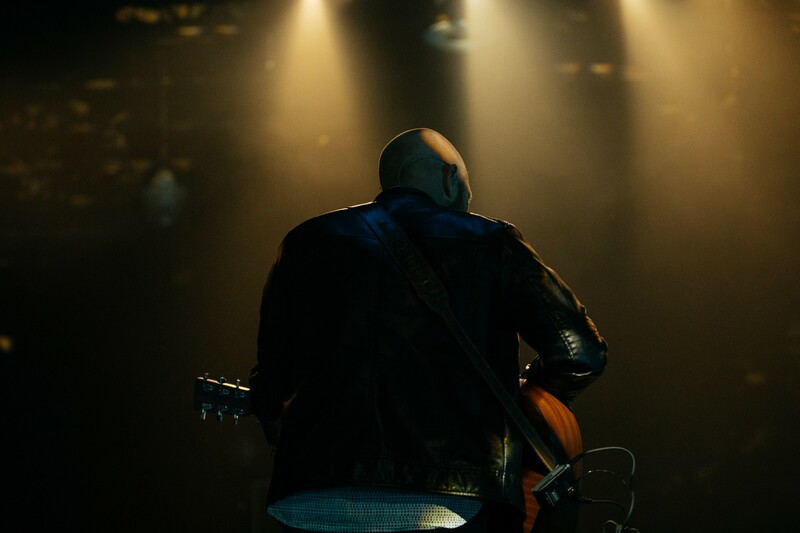 Through everything, I’ve tried to cling to the priorities instilled in me since I joined the staff in 2009: I am a child of God first, then a minister to people, and after that, I am a worship leader. After experiencing several great losses in our family last year, coupled with what feels like the rapid growth of my little girls, I became really reflective. What am I doing? Am I really living in the freedom that I am a child of Jesus — no matter what? Am I loving others around me before I am a worship leader? No. Even at home, it’s too easy to constantly check your phone; to see who “liked” your photos on Instagram; to check your email for the 15th time in the last hour; to want to feel needed all the time. Far too often, I wrap my identity around my job, my gifting, my calling. It’s incredibly easy when, most of the time, you are looked at and praised by others. One day, it hit me: If I really do believe I am a minister to people — but I minister to the masses before I minister to the family that Jesus gave me to steward and love — then I have failed. There’s a passage in Revelation 2 where Jesus addresses the church at Ephesus and praises their work but condemns their motives. He tells them, “You have forsaken the love you had at first” (Revelation 2:4). The Ephesians had done many things in His name, and yet they forgot about the love they had for Jesus himself. As I was reading this passage recently, I couldn’t help but think, What will I be able to say at the end of my life? Will I have done so many great things in His name but failed to love Jesus, the one who called me and saved me, more than all? Will I have shown more concern for what’s around me than in loving those closest to me? My wife and my kids are the only ones I’ve made a covenant with God to love and protect at all times. 2. Do you “see” your wife and kids? A few years ago, in a crazy season, Cindy stopped me in my frantic tracks one day, grabbed my hands, looked in my eyes, and said, "I see you. I see you." That simple phrase is a staple in the Cope household to this day. It's even engraved on a necklace she wears. Something that helps us practice this is to have moments and places to “escape” often. That could be a favorite date spot, a vacation destination, or just leaving our phones inside and sitting in rocking chairs on the back patio. 3. What’s gonna matter in 50 years? This usually de-stresses me and helps me realize what’s really important at the end of the day. I’ve found that I lose less sleep this way. This lens prevents anyone else’s emotions and demands from stealing the peace that Jesus gives me, and it guides me to invest in the right things — those that last. 4. Are you resting from social media, often? It’s tough for me to practice “seeing” my family if, on weekends, I’m more concerned with what everyone else is doing. I don’t want to be looking at someone’s coffee photo when a couple of gifts from Jesus are tugging on my legs to go out and play soccer. It’s a small task, but you will get a new perspective by deleting Instagram/Facebook/Twitter etc. and reinstalling the apps when you’re ready, rested and seeing clearly again. Resting from social media will also help you have real conversations, which I guarantee your spouse and kids won’t mind, either. 5. Are you making memories? We don’t know how long we’ve got. That sounds morbid, but it’s the truth. So make a memory on any normal day with your spouse and kids. What you do doesn’t have to be a huge event, but it can always be something memorable and fun. 6. Are you watering your grass? “The grass is greener on the other side” is a common saying, but in reality, the grass is greenest where you water it and take care of it. The same is true in your marriage and in your life as a parent. “Watering” takes creativity, intentionality, and a desire to see those around you fulfilled and full of life. As a husband, that’s a daily, intentional pursuit of my wife in the ways only I know her and in the ways only I know she’ll be most fulfilled. And as a parent, I can't expect my daughters to love their daddy if I don't cultivate my relationship with them one on one, helping them “grow in stature and in favor with God and men” (Luke 2:52). Stop looking around and comparing yourself to other families. “Water your grass” by being the spouse and parent only you can be. If you love your family fiercely, you don’t have to hate your job. If anything, it causes me to want to be better at it. But while it’s true God created music — and I love music with my whole heart — He died for people. I want to be an example of a hardworking husband and dad who comes home at the end of the day spent. When I’m at work in the church, which is my calling, it deserves my best. But I must prioritize the family He’s entrusted to me. In doing that, I am trusting Jesus to supernaturally increase all my efforts that will leave a legacy after me.